The Guth Gafa International Documentary Film Festival is back in Malin at the end of the month with an exciting programme of films, debate and entertainment. 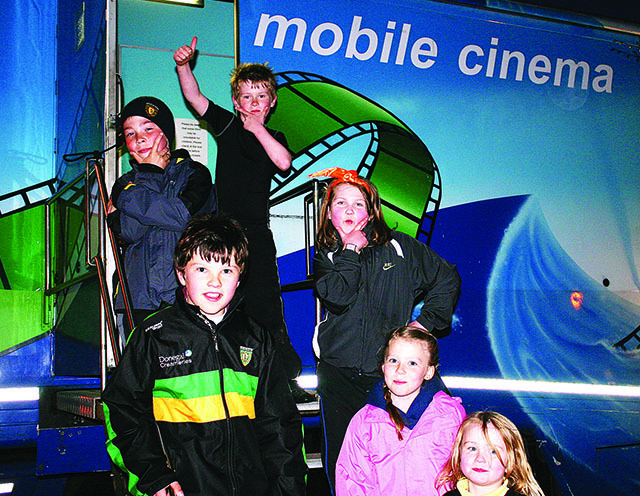 The festival will get underway on Saturday October 25 and Sunday October 26 in pop up cinemas around the village green. Over 20 films from 15 different countries, celebrating the groundbreaking work of some of the world’s leading independent documentary filmmakers will be premiered over the two day event. The impact of conflict, globalisation and climate change on the lives of ordinary people resonates through this year’s programme, with a sprinkling of magic thrown in. “It is one of our strongest programmes to date,” said director, David Rane. Thule Tuvalu, a quietly devastating portrait of two villages dangerously stuck between ice and sea, exposes the impact of climate change on traditional lifestyles in two of the most remote villages on the planet. Among the many programme highlights is this year’s Best International Feature Documentary at Hot Docs, Waiting for August which documents the life of a 15-year-old teenager who is left to raise her six siblings while her mother is forced to work abroad. Return to Homs, winner of the World Cinema grand jury prize for documentary at this year’s Sundance festival, meanwhile, is a searingly intimate portrait of a group of young revolutionaries in the city of Homs in western Syria and their resistance against Bashir al-Assad’s regime. Guth Gafa is also proud to be hosting the world premiere of the remarkable Irish documentary, La Violencia, the Untold Truths of Guatemala, a film by Kerry-based Bold Puppy productions, which focuses on the quest for justice of the indigenous Mayan women of Guatemala who were systemically subjected to torture and sexual violence during the country’s 36-year civil war. The origins of the food we eat will be scrutinised through a number of hotly topical food-themed documentaries, including Canned Dreams from Finland, Food Chains from the USA, Meat and Milk from France, My Name is Salt from Germany, and the Irish-made Blood Fruit. These films will set the scene for a panel discussion on the future of Irish agriculture and food production. Alongside the films, audiences can also look forward to a packed programme of industry and social events. Full programme details are available at www.guthgafa.com . In a new departure this year, Guth Gafa will relocate to Headfort House near Kells in Co Meath over the following weekend with the same selection of films on offer. The Guth Gafa International Documentary Film Festival is sponsored by The Arts Council, The Irish Film Board, The Broadcasting Authority of Ireland, Honeycomb – Creative Works, Fáilte Ireland, Donegal County Council, Meath County Council, and RTÉ- Supporting the Arts.